Nicki Minaj and Meek Mill are not just the hottest new couple in hip hop they are actually making money together. Are we serving a power couple in the making. 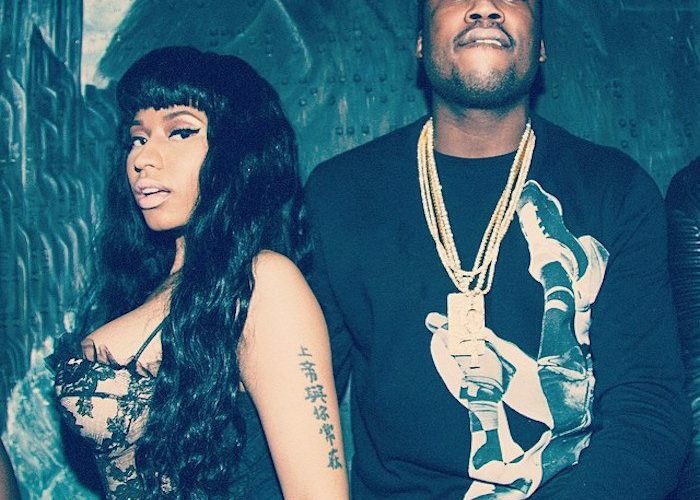 The “Truffle Butter” rapper has added her boyfriend Meek Mill to her The PinkPrint Tour. But fans will have to wait until summer to see Nicki and Meek aka #Omeeka on stage together. Nicki Minaj made the announcement on Instagram earlier this week while paying homage to two people she worked with, choreographer LaurieAnn Gibson and Vogue Italia fashion editor Rushka Bergman. Every now & then in this dog eat dog business you’ll meet precious gems. Ppl u trust without rlly knowing why,” she wrote. “Ppl who believe in u when u don’t why. Ppl who aren’t afraid to tell u ur wrong. Ppl so great at what they do they inspire u without trying. One look and they know what I’m thinking. Sense of humor on fleek. Spirituality on fleek. I had to have known them in another life. Crazy like me, emotional like me, genuine and passionate like me. I love u LaurieAnn and Rushka. For all the things u do that have nothing to do with my profession. Just for being there for me. Taking care of me. The real me. The advice. The love. The loyalty. The hugs. My mothers away from home. Every now & then in this dog eat dog business you'll meet precious gems. Ppl u trust without rlly knowing why. Ppl who believe in u when u don't why. Ppl who aren't afraid to tell u ur wrong. Ppl so great at what they do they inspire u without trying. One look and they know what I'm thinking. Sense of humor on fleek. Spirituality on fleek. I had to have known them in another life. Crazy like me, emotional like me, genuine and passionate like me. I love u LaurieAnn and Rushka. For all the things u do that have nothing to do with my profession. Just for being there for me. Taking care of me. The real me. The advice. The love. The loyalty. The hugs. My mothers away from home. ???? #ThePinkprintTOUR #EuropeanEdition kicks off next month with Trey Songz. See u guys soon!!! @boomkack @rushkabergman ???? #ThePinkprintTOUR comes to America this summer with @meekmill and MORE! Can't wait to unveil the rest of the line up! Loveeeee???? Meek Mill will be joining Nicki Minaj The PinkPrint Tour on the North American leg this summer. Sources told Urban Islandz that Meek Mill is already planning to marry Nicki Minaj and have some babies.